Kmart is selling a new toy called Baby Sleepy Glow Bear which is helping toddlers sleep peacefully through the night, much to the delight of their weary parents. Whether it’s nap-time or bed-time, anyone who has ever put a toddler to sleep knows it’s not as easy as turning off the lights — it takes some serious finesse. Usually, you’re in for bedtime stories (at least five), special blanket tucking protocol, and a few last minute trips to the loo before they’re ready to drift into the land of nod. By the time all this nightly rigmarole is over, parents are pretty tired too (so, you better get some sleep before the baby wakes up in three hours). Image provided courtesy of VTech. 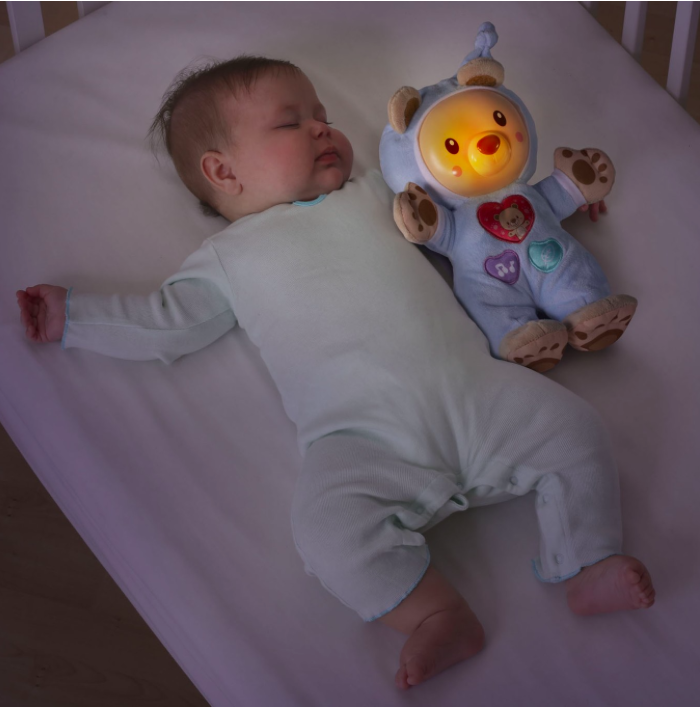 The Baby Sleepy Glow Bear from VTech is said to soothe babies and toddlers in the same way that a security blanket does, but with some fun extras. The bear lulls your baby to sleep with a warm glowing light that softly radiates from its face. Its belly brandishes three heart shaped buttons that, when pushed, can play nature sounds, calming melodies, or loving phrases. Each setting comes with a timer that deactivates the bear after your little one has nestled into dreamland. This way, your baby won’t become too reliant on technology to get to sleep (that comes later in life). Parents in the throws of sleep training might not want to introduce a toy into their routine as it may conflict with their methods; but if you’re just looking for a cuddly bear to bring you and your cubs some much needed rest, many parents think this toy is a great solution. Ensuring your children get proper sleep is very important for their growth and development, but it’s just as important for parents to keep healthy sleep hygiene of their own. 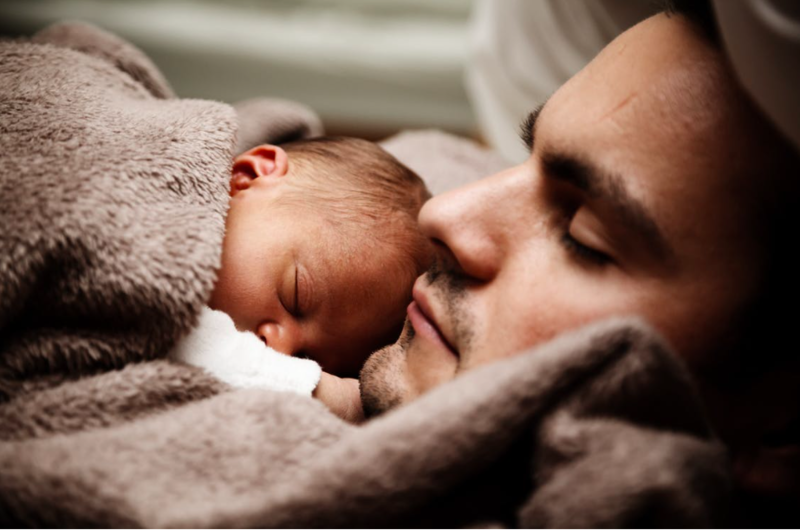 If putting your baby to bed is keeping you up at night, check out these helpful resources on managing your family’s sleep schedules.